In this live musical performance,�Come Together� recreates the look, sound and history of the Beatles, taking you back into time to witness the Beatles phenomenal rise to pop stardom. Through authentic costumes, superbly intricate live performances and soaring vocal harmonies,�Come Together� takes audiences on a musical journey from the early years of the Beatles�s British Invasion through their legendary 60�s and 70�s recordings with highlights of the Sgt Pepper era, as well as their solo careers. Six Appeal is a world class vocal ensemble infused with impeccable comedic timing and the energy and vitality of a rock band. Swearing off all instruments, this award-winning vocal band takes you on a journey that spans decades of music, performing classic oldies, current chart toppers, and catchy original tunes�all sung a cappella. Featuring amazing vocal dexterity and adventurous song selection, this remarkably talented sextet of young singers navigates multiple genres of music with a wonderfully eclectic repertoire that is guaranteed to captivate and entertain audiences of all ages. 2019 marks our 6th year and we�re getting a new look! We�re also bringing back some familiar faces and returning to our local roots. Run through our award winning Downtown and beautiful Livermore Parks and trails with a festival at the finish line featuring a collection of live music, food, beer, and wine to reflect the spirit of the Livermore culture. Admission: $105 until Feb 4. $125 afterwards. Innovative new professional theater company mixing actors, life-sized puppets, and a Live Virtual Set� to present a musical adaptation of the beloved classic! Co-founded by Beach Blanket Babylon�s Derek Lux and elementary teacher Lauren Lux, the company�s high artistic excellence and strong ties to SEL (Social Emotional Learning) and STEM (Science Tech Engineering and Math) have made it a huge hit, appealing to audiences of all ages. Based on Beaumarchais� classic French comedy, the opera tells of the clever barber Figaro and how he assists the noble Count Almaviva in winning the hand of his beloved Rosina by outwitting her lecherous guardian, Doctor Bartolo. Riotous comedy, memorable arias and spectacular ensembles abound in what is arguably the greatest Italian opera buffa ever written. Of Barber, Beethoven told Rossini: �I congratulate you. It will be played as long as Italian opera exists.� Sung in Italian with English supertitles. Opening Gala on Nov 9 at 4:00pm at Uncle Yu's. $95. Admission: $25.00; Students with ID: $10.00. Tickets at Valley Concert Chorale website. In rural Oklahoma territory where farmers and cowboys struggled for the upper hand, popular farm girl Laurey Williams (Shirley Jones) is sought after by two rivals, cowboy Curly McLain (Gordon MacRae) and farmhand Jud Fry. When her heart chooses one, the other reacts in dangerous anger. The Rogers and Hammerstein score won an Academy Award and features the famous title song, as well as �Surrey with the Fringe on Top,� �Oh What a Beautiful Mornin�,� and �People Will Say We�re in Love.� The film has been preserved by the Library of Congress for its cultural and historical significance. What was it like to be one of the thousands of young women working on the Manhattan Project with no idea of what they were helping to create? Janet Beard�s novel The Atomic City Girls follows eighteen-year-old June Walker as she boards an unmarked bus in 1944, destined for a city that doesn�t officially exist: Oak Ridge, Tennessee. Beard will talk about the women�s history hidden in America�s nuclear past and what we still might have to learn from the women who worked on the Manhattan Project. She currently lives and writes in Columbus, Ohio. Masters of Soul is a celebration of the legendary songs and performers that defined Motown and soul music, reproducing the distinctive look, choreography, style and sound that had a lasting and profound influence on American pop music. Join us on St. Patrick's Day and sample craft beers and ciders from over 25 downtown locations while enjoying tasty bites along the way. To add to the festive spirit of this event, guests are encouraged to wear green and other fun St. Patrick's Day items. Your ticket includes a commemorative event glass, craft beer & ciders (3oz pours) and tasty bites at over 25 locations throughout Main Street in downtown Pleasanton. The Pleasanton Downtown Association encourages everyone to enjoy downtown responsibly. To support this effort the PDA will be selling a limited number of designated driver tickets for $10 on the night of the Brew Crawl. The Pleasanton Downtown Association encourages everyone to enjoy downtown responsibly. To support this effort the PDA will be selling a limited number of designated driver tickets for $10 on the night of the Brew Crawl. This event is proudly sponsored by Alameda County Fair and Hacienda, . Event is rain or shine, no refunds. We are not responsible for lost, misplaced or stolen tickets. See all ticketing terms and conditions here. Swing open the Saloon doors and enter a mythical world inspired by the rich legacy of the Wild Wild West. Live music, including the timeless tunes of Johnny Cash and Patsy Cline, set the scene for an exhilarating fast-paced spectacular performance with no shortage of audience thrills. A driving force in the circus art reinvention movement, Cirque �loize has been creating award-winning entertainment for 25 years and is a world leader in combining innovative and contemporary circus arts with music, dance and theater. The Bumper Jacksons unite a vast array of rich American traditions � from country swing and old-time blues to brassy bluegrass � into a deliciously cohesive sound that strikes you right in the heart and brings you into the center of a party where everyone�s invited and the dance floor never sleeps. Junie B. Jones The Musical JR. is a delightful adaptation of four of Barbara Park�s best-selling books, brought to life in an exciting new musical! Featuring many lovable characters, silly adventures and unforgettable songs, Junie B. Jones JR. will capture your heart � just as the books captivated an entire generation of students. Join more than 30 Livermore Valley wineries, meet winemakers and sample wines still in development right out of the barrel. Join us for a wine country brunch before the event to get your day started. The hills are green and vines are just beginning to bud, keep an eye out for one of the many barrels on our Painted Barrel Trail and enjoy this beautiful time to visit wine country. 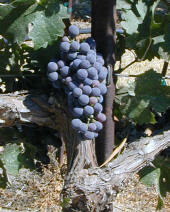 Participating Wineries: 3 Steve's Winery, Bent Creek Winery, Big White House Winery, Boa Ventura de Caires, Cedar Mountain Winery & Port Works, Charles R Vineyards, Crooked Vine Winery, Dante Robere Vineyards, Darcie Kent Vineyards, Eagle Ridge Vineyard, Ehrenberg Cellars, el Sol Winery, Embodied Wines, Fenestra Winery, Garr� Vineyard and Winery, Las Positas Vineyards, Leisure Street Winery, Longevity Wines, McGrail Vineyards & Winery, Mitchell Katz Winery, Murrieta's Well, Omega Road Winery, Page Mill Winery, Retzlaff Estate Winery, Rios-Lovell Winery, Rodrigue Molyneaux Winery, The Singing Winemaker, The Steven Kent Winery, Wente Vineyards, Winemaker's Studio and Wood Family Vineyards! Trio 180 is the faculty piano trio-in-residence at the University of the Pacific�s Conservatory of Music. They perform a wide range of music from the classical era to the present and actively support new music. In addition to giving concerts and master classes throughout the United States, the trio has been featured on concert series in Mexico and Canada. Trio 180 is violinist Ann Miller, cellist Vicky Wang, and pianist Sonia Leong. Ravel�s dreamy opening becomes lively and buoyant on the strings of a harp and ends in a delightful afternoon of musical conversation. Fran�aix begins his piece in the French countryside � tranquil, calm, relaxing strings. As Dixtuor closes, it�s as if birdcalls wake us for a brisk walk back to the city. Next, the exuberant opening in Shubert�s Octet moves into a silver-lined melody for the clarinet and continues through a walking-bass which lightens your heart; it ends on notes of jubilant delight. This piece demonstrates Schubert�s genius for translating the human experience of nature into music. Grammy Award-winning music producer and guitarist Will Ackerman is universally recognized as the preeminent pioneer in new age music. He single-handedly fostered the careers of generations of acoustic guitarists and pianists through his ground-breaking work at Windham Hill Records. In this intimate evening of acoustic music, Ackerman will be joined by kalimbatar/guitarist Trevor Gordon Hall, Imrat guitar/guitarist Todd Mosby and acoustic guitar maestro Vin Downes, each of whom was selected by Ackerman for their superlative skills and creative compositions. The four will first play individually, then unite at the end of the evening to create a concert of unrivaled beauty, intrigue, artistry and wonder. The Livermore Sunday Farmers' Market is held rain or shine. The Pleasanton Farmers' Market is open every Saturday, year-round, rain or shine to provide you and your family with the season's freshest fruits and vegetables, all California-grown and sold to you by the very farmers that planted, nurtured and harvested the crop. West Angela St. is closed off between Main and 1st Streets. Location: Corner of Main and West Angela. Offers Train Rides through historic Niles Canyon on restored vintage trains, on the original transcontinental Railroad route. Board the train in Sunol or Niles, and ride to the opposite end, then take the return trip when you are ready. Admission: Suggested donations of $14 adults, $11 seniors, $8 children 3-12, Free for 2 and under. 2nd & 4th Sundays of each month. Free Docent Tours are given of the Ravenswood Estate developed by Christopher Buckley, Sr in the 1880s. 2nd & 4th Sundays of each month. See below for special events. Date (preliminary) Event and Description. Ice Cream, cookies, and hot dogs are for sale. Demonstrations, Music, and more. Tours and Gift Shop are open. In December we are decorated for Christmas. Lots of special events, crafts, and more. See historic tractors, buggies, say 'Hi' to the horses (with fence between you), and wander 1880's ranch, on own or on tour. This farmstead site was the Martin Mendenhall ranch (1865) and then the Hagemann ranch (1890). Sweethearts Day. Everytthing for your Valentine. The Duarte Garage was built in 1915 by F.H. Duarte on the original Lincoln Highway, the first transcontinental U.S. Highway. When the Carquinez Bridge opened in 1927, the highway was re-routed. This section fronting the north doors was eventually renamed Portola Avenue. Junction Avenue originally ran past the south doors. The garage sold Associated gasoline and oil products and also performed repairs. In 1923 the south half of the garage was added and became an automobile dealership, selling Durant Star and Flint models. Robert Livermore Jr. was one of the salesmen in the early 1920�s. 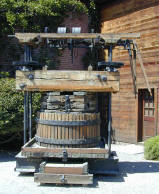 In the early 1940�s the garage was converted into a machine shop for rebuilding winery and farm equipment. 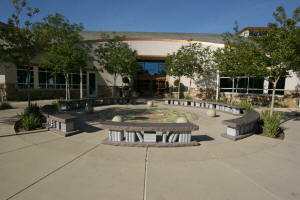 During the 1970�s the City of Livermore purchased the Duarte Garage and surrounding land for use as a park (now adjacent east of the Garage and caretaker's home). The Livermore Heritage Guild signed a lease in 1976 to restore and maintain the garage for use as a museum. The Annual Guild Dinner and Annual Auction are both held in the garage. The Auction in particular is a favorite for people from all around. Location: Duarte Garage; Corner of Pine and North L streets. Event Weekend: Barrel Tasting Weekend! 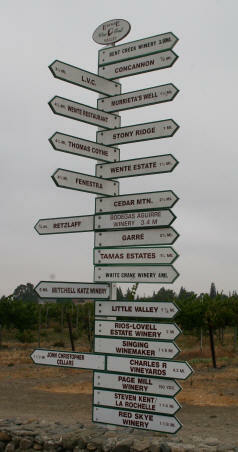 Event Weekend; Taste our Terroir! Event Weekend; Harvest Wine Celebration!